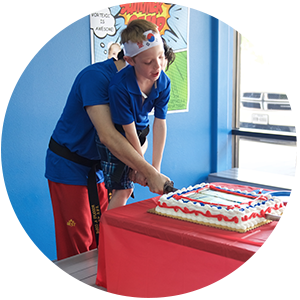 At Vortexic Martial Arts, planning your child’s birthday party in Katy has never been easier. 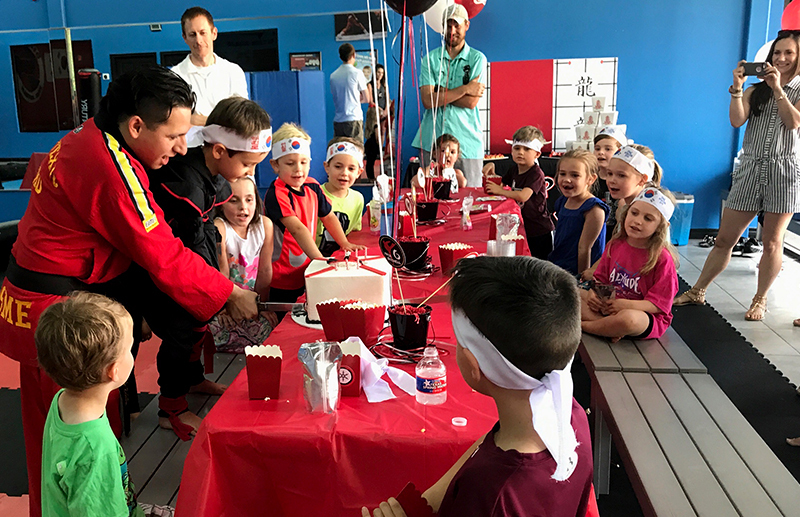 Parents can sit back and relax while our enthusiastic instructors make sure your party will be a memory that will last a lifetime. 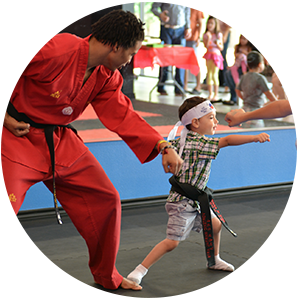 Your child will be treated to a 1.5-2 hour high-energy GREAT class taught by our certified black belt instructors along with skill games and positive LIFE EDUCATION. The guest of honor will enjoy cutting their cake with a samurai sword and having the unique opportunity to break a real board in front of their friends! At VMA, we do our best to ensure you have an unforgettable party. Plus, every party includes a FREE gift for the guest of honor, party games, your very own Black Belt instructor and MORE! Make sure your child’s next party is the most memorable yet. Book your party today. NO MARTIAL ARTS EXPERIENCE IS NECESSARY TO ATTEND THIS PARTY! Uniforms are NOT necessary! A t-shirt and shorts/sweatpants is perfect. 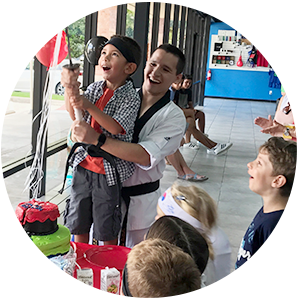 At your party, you'll have your own dedicated black belt instructor, hosting your special day and keeping your guests entertained from start to finish. The child of honor will be spotlighted as "the black belt of the day" and they'll get to break a real board! Make memories as you cut your cake with a real samurai sword! 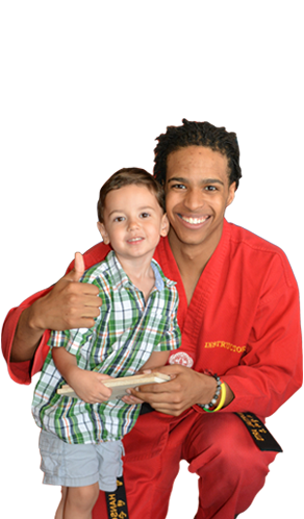 Enjoy a specialized Taekwondo class (no experience necessary) and fun skill games. Participate in an obstacle course, games & more! We have a variety of party packages to choose from offering age appropriate basic training in taekwondo, challenging obstacle courses and optional training with weapons. Simply click the links below to see which package will best fit your child’s birthday party wishes.